Get your HalloWEED on with these HIGH-larious stoner Halloween costume ideas! We all 420 is a huge stoner holiday. Sure, there are all sorts of holidays that focus on dressing all fancy and getting to eat delicious food, but Halloween is different. On Halloween, you get to dress up as fun characters and consume massive quantities of candy. Just gather up some friends, turn the room into a smoky haze, and stuff yourself full of candy. 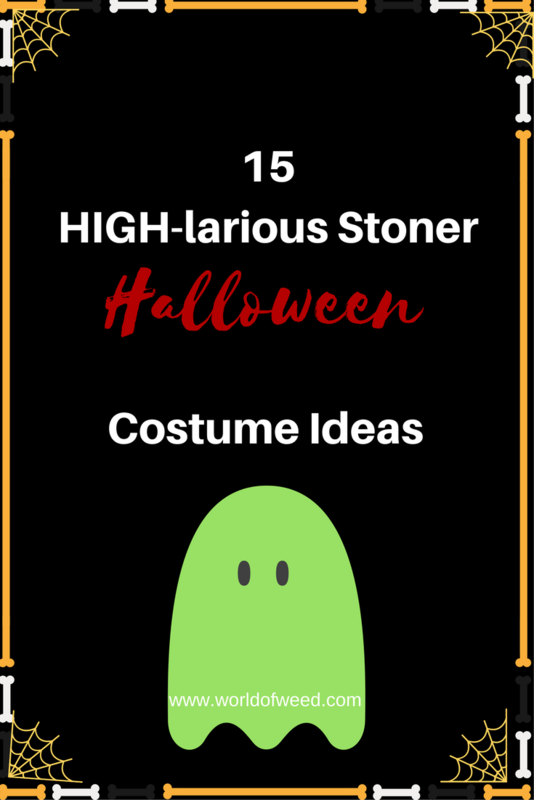 To help you turn your 10/31 into 4/20, check out this list of 15 super awesome stoner Halloween costume ideas. Zig-Zag has used the image of French soldier Le Zouave for the past 130 years. You see, during the battle of Svastopol, back in the 19th Century, this particular soldier lost his clay pipe when it was broken by a flying bullet. Zouave, not to be left with no way to smoke, had the brilliant idea of rolling up his tobacco in a piece of paper he tore off a bag of gunpowder. It was this creative genius that paved the way for papers and wraps within the cannabis and tobacco industries. Travel back to the 1970s and 1980s with this Richard “Cheech” Marin and Tommy Chong pair costume! This is one you can easily just do yourself with clothes that would be easy to find at nearly any thrift shop. So, grab a friend, light a bowl, and do your best impersonation of this Grammy Award-winning comedy duo! 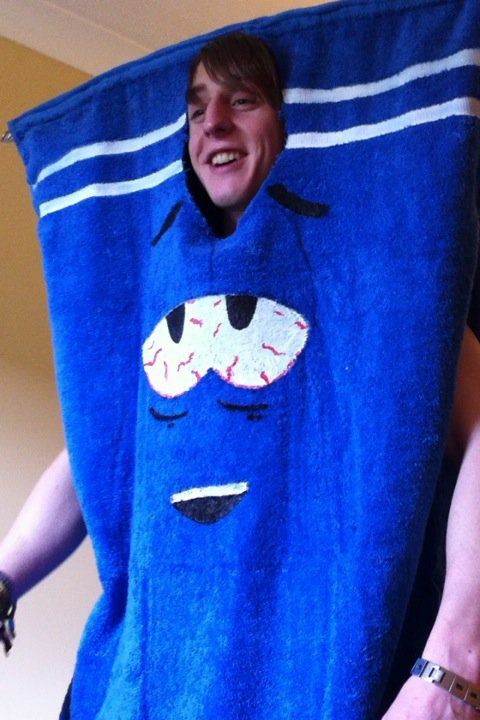 Towlie is a talking, completely sentient towel who was genetically engineered by a company called Tynacorp, and first appears in the “Towlie” episode in Season Five of South Park. His primary purpose is to make people as dry as is necessary for the situation. He’s also a MASSIVE stoner. Seriously. Like’s pretty much permanently stoned. The Dude is an instantly recognizable (and insanely comfortable) stoner Halloween costume that takes about five minutes to throw on. Just grab a wig, a beige or brown bathrobe, some blue-and-black plaid shorts or pajama pants, and some sandals. Let your facial hair get all scruffy, and be sure to blaze on something strong to give you those red eyes. Grab a wig, an ugly sweater, and pajama pants, and you’ll be abiding in no time. The Dude is a comfortable costume that’s instantly recognizable. 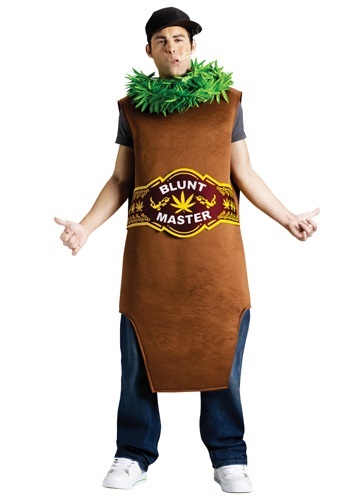 What better way to show off your love for both Bud and YOUR bud than with this awesome bff stoner Halloween costume? All it takes is a couple materials, an energizing marijuana strain to get the creative juices flowing, and your best bud. Combine these ingredients, and you’ll have a brilliant masterpiece of a costume in no time! Got a fancy dress you never have a chance to wear? It’s time to bring it out for a night of stoner Halloween fun! There are numerous places that offer affordable, custom pageant sashes, and you can find all kinds of tiaras at places like Party City, Claires, and your local Halloween shop. All you’ve got to do next is smoke a fat bowl, straighten your tiara, and walk into that Halloween party like you’re royalty. You ARE Miss Cannabis, after all! Who says stoner Halloween costumes can’t be classy? If buying a Halloween costume is more your thing, rather than going the DIY route, Dollskill has your back. 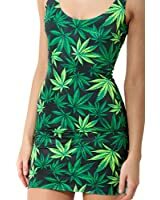 They’ve got this THC High Cheer outfit on sale for $49 right now, making it possible for you to have the dopest stoner Halloween costume around! This one’s made from super soft fabric and has cheeky cut-outs and a classic pleated skirt to give a flirty feel. You’ve just got to complete the look with some knee-high socks, hair ribbons, and pom-poms, and then you can let your school spirit for THC High really shine! 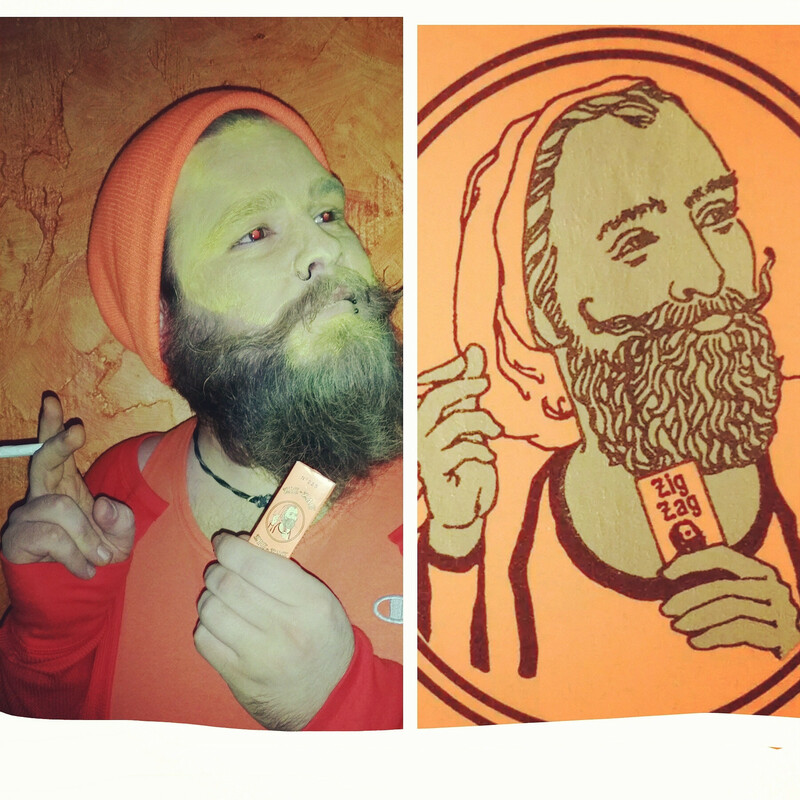 This stoner Halloween costume may look like it’ll turn you into a blunt. But, this isn’t just any blunt. Oh, no! This is the Blunt MASTER! It’s all the best blunts that have ever been rolled, combined into one mega blunt. His sole purpose in life is to get people high. If you’re ready to accept your destiny, you can pick this one up on the HalloweenCostumes website for $34.99. 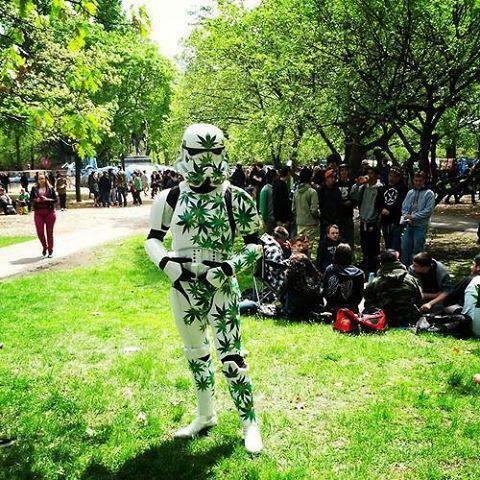 If you’re a Star Wars fan, then this stoner Halloween costume idea is for you! 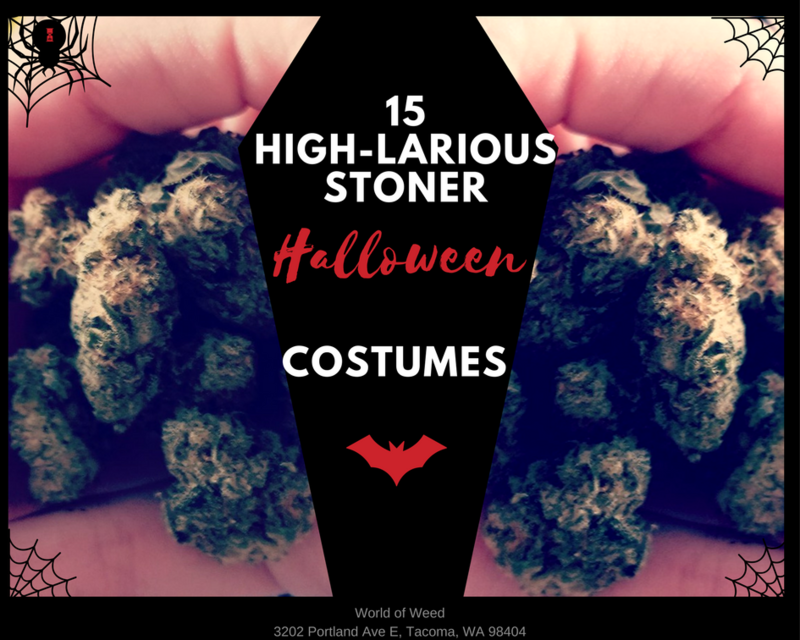 It’s hard to get more Halloweed-tastic than by dressing up as something with a marijuana strain named after it! So, head on over to your local Halloween shop and pick up a Storm Trooper costume. Slap a bunch of marijuana leaf stickers all over it, and you’re good to go smoke out with some friends! This isn’t your little sister’s Brownie uniform! If you want to wear your love of cannabis on your sleeve (literally), this Pot Brownie costume is the perfect choice. Add some pot-related patches to a brown sash, throw on a white t-shirt (if you want to be accurate), a brown skirt, and some white knee-high socks. You could always put some ribbons in your hair, or wear a beret with a prominently displayed pot leaf. The options are endless, but one thing is for certain: This stoner Halloween costume is sure to give everyone the munchies! Better have some cookies ready. If you’re looking for a simple, cheap stoner Halloween costume, this is it! With this $10.99 dress from Amazon, a name tag, and some red eyes from premium bud, you can go as Mary Jane! The best part about this costume? You can always wear it again – even when it’s NOT Halloween! Need a last minute stoner Halloween costume idea? 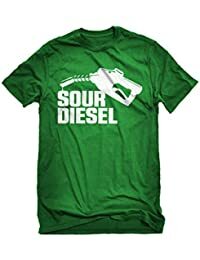 Just pick up this $12 shirt from Amazon, throw on some pants (extra points if they’re green!) and shoes, and you’re good to go! To really turn your holiday into HalloWEED, stop by the shop and pick up some Sour Diesel to share with your friends. You’re guaranteed to be the life of the party. 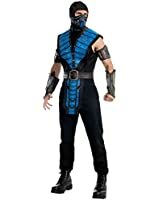 This stoner Halloween costume idea is a bit more obscure, but gives you a great chance to introduce your friends to one of the most unique, most potent strains around – SubZero by Army of Dankness! Get any Subzero costume you can find, and adorn it with plenty of pot leaves. Now, you’re not just Subzero, you’re the SubZero cannabis strain! This stoner Halloween costume will ensure you’re able to keep your friends’ THC levels at healthy numbers. From Dr. Dank to Dr. Canny Abyss, there are all sorts of names you can come up with for yourself. Just get a lab coat, a tie with weed on it, and either a weed sticker or a weed patch for the coat. There you go! This is the perfect budget-friendly, DIY costume for the creative stoners out there. This HIGHlarious stoner Halloween costume idea is a fun take on the popular bee costume. 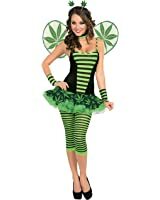 You’re to stay buzzed all night when you put on this adorable weed bee costume – especially if you make sure to hit the bong before heading out! If you couldn’t come up with any stoner Halloween costume ideas before, you’ve definitely got some great ones now! Be sure to stop by the shop to stock up on your favorite strains to help you turn your 10/31 into another 4/20. 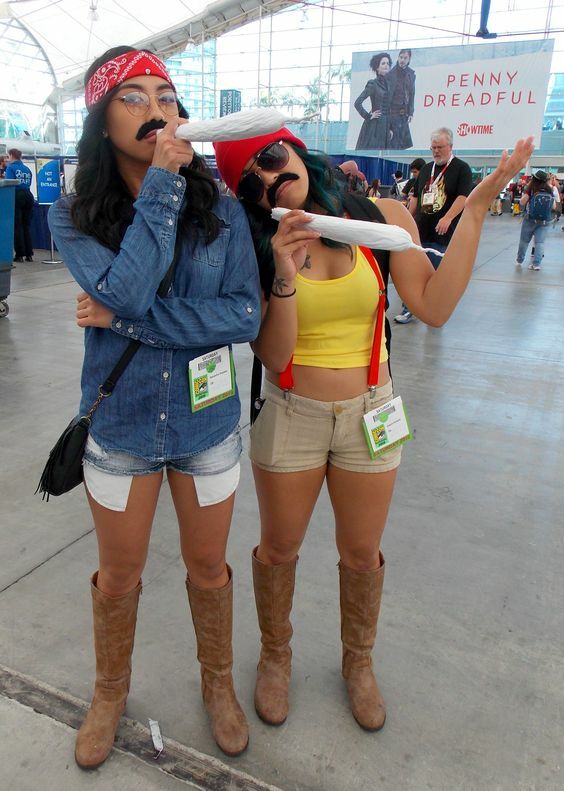 What is YOUR favorite stoner Halloween costume? 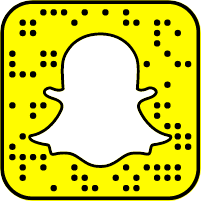 Share your pictures and ideas in the comments below, and don’t forget to show this list to your friends! Disclaimer: Marijuana has intoxicating effects and may be habit-forming. Smoking is hazardous to your health. There may be health risks associated with consumption of Marijuana. Marijuana, in any form, should not be used by individuals that are pregnant or breastfeeding. Marijuana is intended for use only by adults 21 and older. Keep out of reach of children. Marijuana can impair concentration, coordination, and judgment. Do not operate a vehicle or machinery under the influence of this drug. This product may be unlawful outside of Washington State. Hubbs and I are doing Zigzag man and Mary Jane. Oh, that’s great!!! Be sure to share pictures with us. We’re glad you liked it, Zaydle! Which costume are you going with? I am dressing in doctor gear with pot leaves on my lab coat and I will be Medical marijuana my wife is dressing in rec center staff uniform and will be recreational marijuana. Ha! Those sound like great costumes.